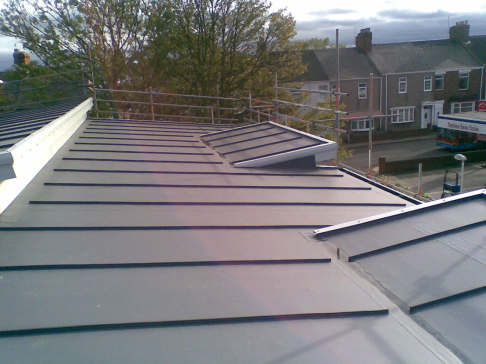 There are a number of considerations to ensure that the client receives an aesthetically pleasing roof. Some are more obvious than others. It is generally accepted that a single ply roof is only as good as the installer. The first step is to ensure that the roofing contractor & their installers are trained and competent. 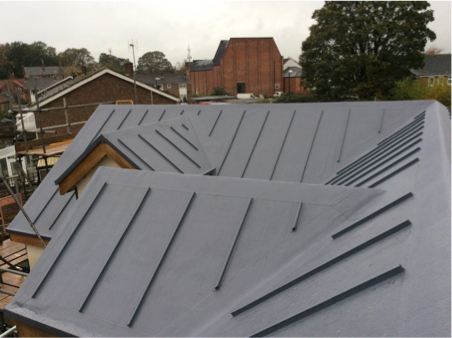 Not all roofing contractors specialise in aesthetics and are more concerned with waterproofing the project quickly, so the selection of the right roofing contractor is important. 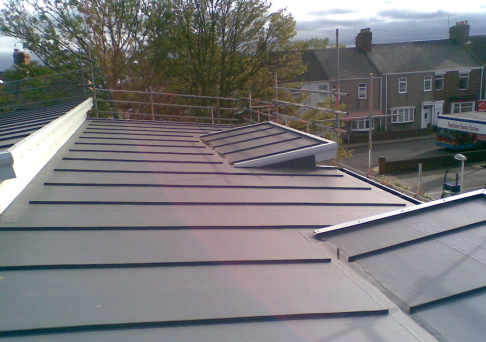 The roofing contractors experience & pride in their work is paramount to achieving an aesthetically pleasing roof. However it’s not all down to neat workmanship as other elements have an impact on the final finish of the roof. 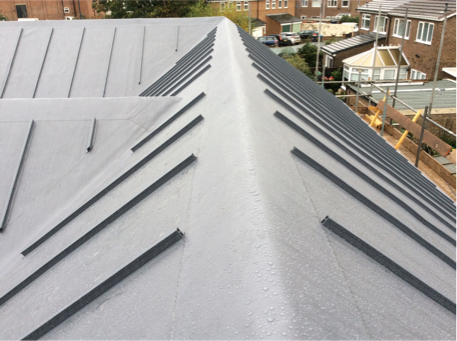 The roof substrate is often overlooked but in a cold roof application the preparation is essential for a number of reasons. A wet plywood substrate in an adhered application is a disaster. There is a high risk that the adhesive will not adhere correctly to the substrate resulting in a system failure due to the membrane becoming detached form the substrate. This will not necessarily show itself during the actual installation but become apparent during high winds. 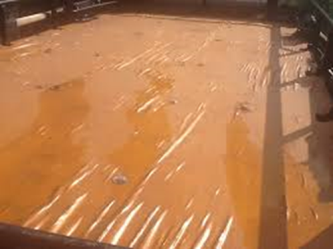 Plywood substrates should not be installed for a prolonged period before the waterproofing and should be protected from the elements prior to the installation of the waterproofing. Even if the membrane does not become fully detached from the substrate there will be signs similar to blistering across the field area which will not be aesthetically pleasing. 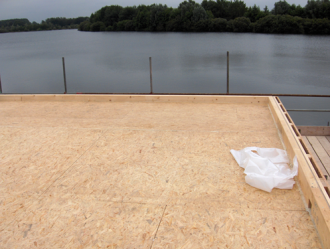 The plywood deck attachment especially with in a cold roof application is a consideration, counter sunk fixings, flush joints & fully supported sheet ends will all have an impact on the final aesthetics. Use of T&G sheets should be considered for a better finish. 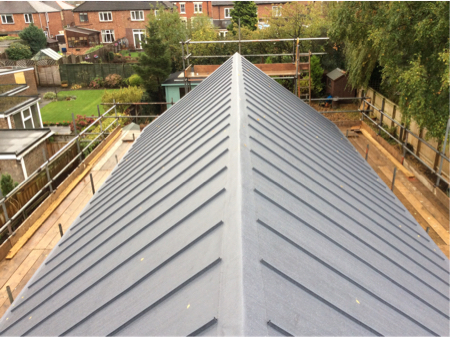 When aesthetics are important regardless of the deck or build-up an adhered system may be an option as mechanically fastened applications will billow during windy conditions which could be detrimental to the overall appearance of the roof. 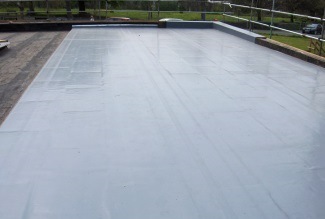 1m wide sheets could be used but there will still be an element of membrane movement and the fixing lines can be noticeable especially in a cold roof application. 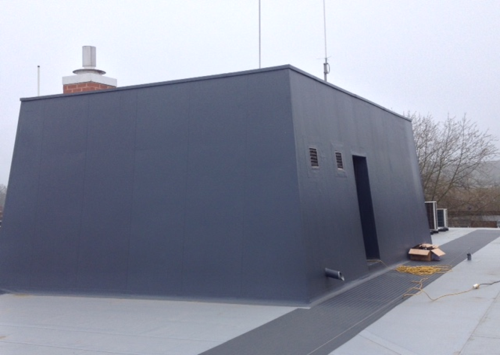 In a warm roof application the typical manufacturing tolerances for insulation boards are +5mm/-5mm. If you are unfortunate to have two insulation boards next to each other with tolerances at both ends of the scale this will create a step so sometimes the boards need to be checked before being attached. This step will not only ghost through the membrane but could also create a section of membrane that is not adhered properly again having an impact on the overall aesthetics. Steps in the insulation will be noticeable even when using a fleeced backed membrane. The method of attachment will also have an impact on aesthetics, if due to wind loadings it is decided to mechanically fasten the insulation the insulation tube head will be visible through the membrane. Refurbishment overlays can also troublesome in regard to aesthetics as the insulation or membrane can only follow what is underneath it. A full strip up may be needed to achieve the desired results. It is important to get the membrane manufacturer involved in the design stage as soon as possible so that they can specify the correct system and products. 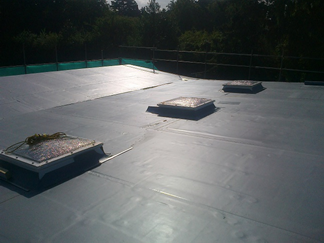 It is generally considered that a fully bonded system using a fleece backed membrane in conjunction with a low foaming PU adhesive is the standard build-up when aesthetics are important. A bonded system will not billow in windy conditions. The insulation boards are bonded in a high foaming PU so that tubes and fixings are not required and the fleece backing on the membrane will help to hide any slight undulations. 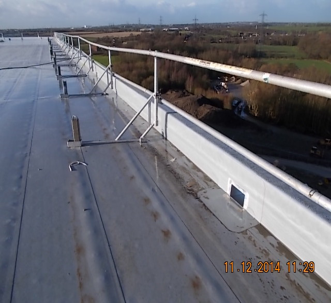 The final word of warning is that even once the roofing contractor has completed the sleek new roof for the client, care should be taken to protect the roof finish from follow on trades that may have access to the roof area. 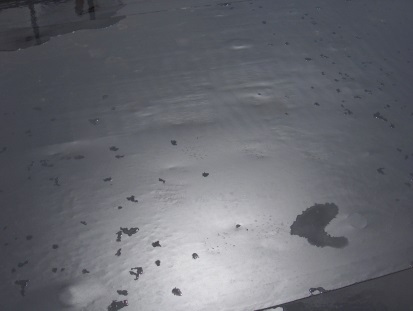 Single ply membranes can be damaged if not treated with respect and appropriately protected and although they can be easily patch repaired such repairs can detract from the overall aesthetics of the finished roof. 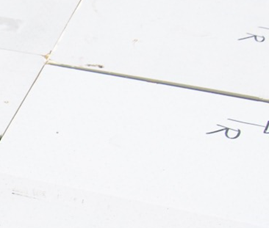 As standard the minimum patch repair size is 150mm square however full width sheet repairs should be considered where aesthetics are important to make the repairs less obvious to the eye.